…you get served an onion ring like this, and all you can think about is bacterial plasmid replication forks. I wouldn’t have made the association, since it was so long ago that I learned about bacterial replication I’d forgotten all about it. 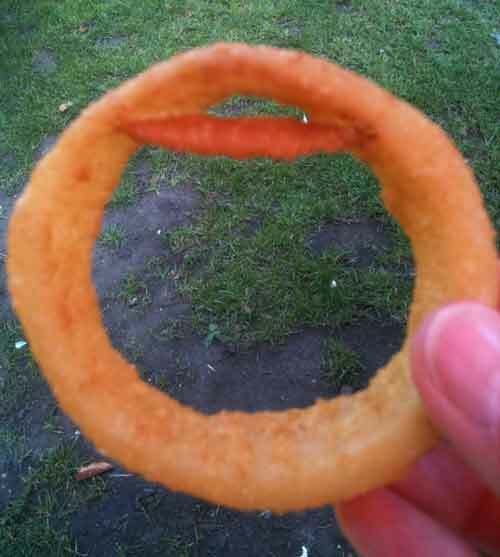 Onion rings, however, I am well familiar with. I’m glad I wasn’t the only one seeing a plasmid! I also see codons on license plates here in the States, such as today’s license plate carrying 564 UGC.